Sage Koochee. 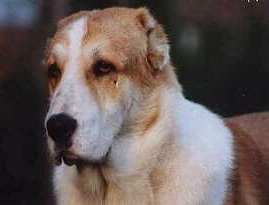 Also known as the Kuchi Dog. The Sage Koochee is a loyal, intelligent breed with unrivalled stamina, courage and strength who has been bred as a guardian and protector. He is athletic, agile and very fast. 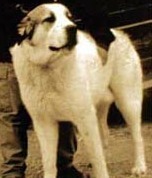 These dogs were bred for their characteristics rather than how they looked which is why they are not recognised as an official breed by any Kennel Clubs in the West. 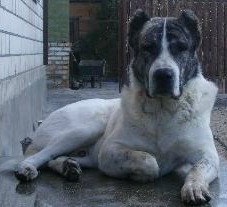 Also known by their Persian name of Sage Kuchi or just "Kuchi Dog", he is not suitable for usual life in a Western home. This is because the Sage Koochee was bred by the Afghan Nomads to protect their livestock and caravans from thieves and wild animals. Therefore, despite being gentle and loyal to their owner and "pack" ie family, they are extremely suspicious of strangers and are very territorial. Therefore it is difficult to convince them that the postman, your friends and even people you meet when out walking your Kuchi dog are not threats! 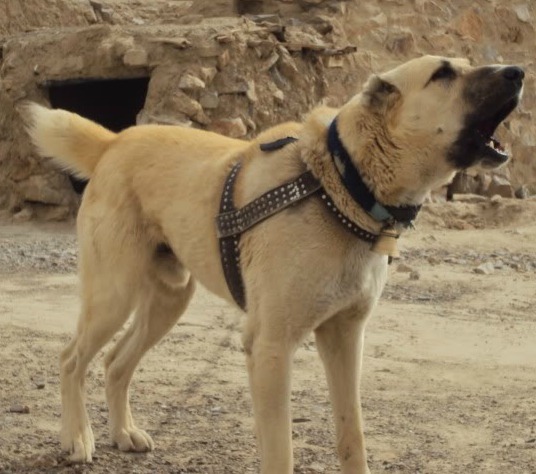 The Sage Koochee has been protecting the Afghan Nomads and their livestock for centuries ("Koochee" is the Afghan word for "Nomad"). 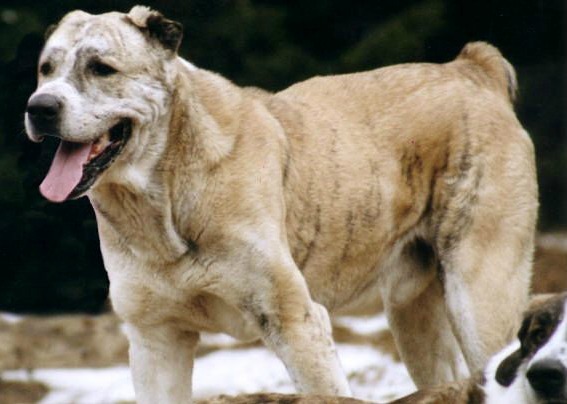 These nomads travelled across mountain ranges, through deserts in blistering heat during the day and the freezing cold at night and needed a dog that could adapt to all climates and conditions very quickly. 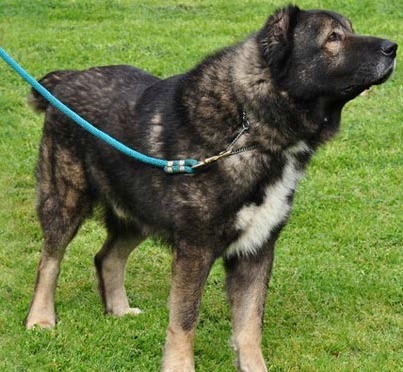 They also needed a dog who could pretty much fend for himself as they didn't have time to train the dog, feed him (he had to be able to catch his own food) or wait for him if he fell behind or became ill.
Also known as the Central Asian Ovcharka or the Central Asian Shepherd Dog, he needed to know when to preserve his energy, the ability to keep up with the camels and be strong and fearless enough to fight off intruders. These intruders took the form of thieves, wolves, mountain lions, bears and tigers. 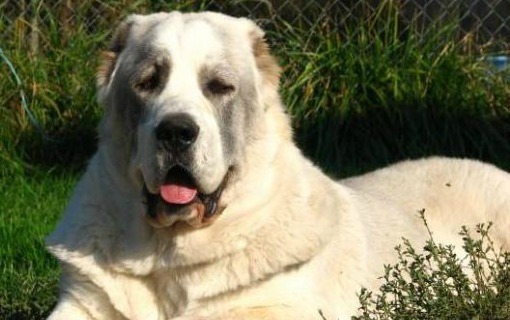 Mountain Types: These dogs are bigger boned, more sturdy and have a longer, thicker coat. They are extremely fast when crossing an uneven rocky area but slower when on flat land. 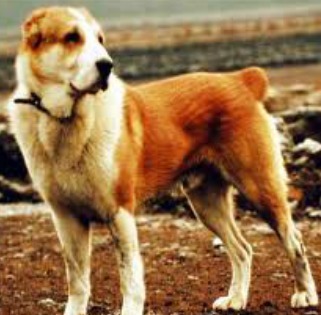 Steppe Types: These dogs are of a lighter build and are very fast across flat land covered in vegetable. The coat can be medium or long haired. Desert Types: These dogs have a short coat with an underwool coat in the colder season. They also have very strong bone structure. They can also be described as Lion-Type or Tiger-Type. The Lion-Type are heavier, with thick coats and a big head which they carry upwards when walking. The Tiger-Type are more athletic and slink along like a cat. They tend to have a shorter coat. The Kuchi dog comes in a wide variety of colours. The ears and tail are often docked to assist him in any fighting he may have to do. The Sage Koochee is easy to train as he has specifically been bred to be intuitive and require very little training to do his job. You will probably not be able to train him as a "normal family pet" in a Western Environment although every dog is different. If ever there was the perfect guardian dog then it's the Kuchi Dog! He is non-aggressive and loving to his family but very territorial and suspicious of strangers. So it comes naturally to him to protect his "pack" and his territory from any intruders. The Sage Koochee requires very little maintenance even though some variations of the breed have long-hair. They were bred to pretty much look after themselves. 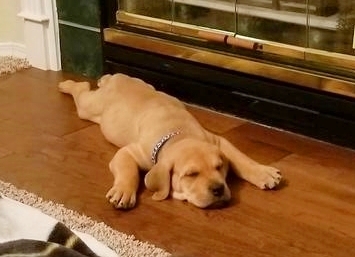 This is a very healthy breed! 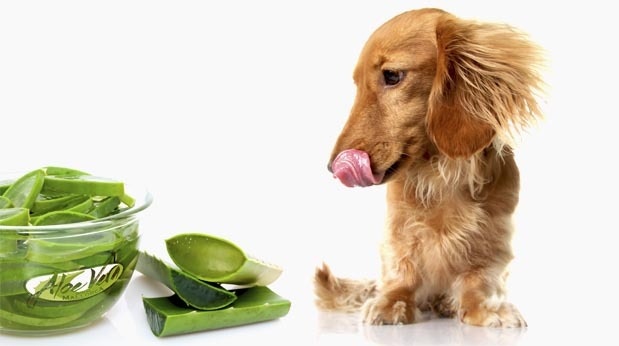 They have not been subjected to selective breeding like pedigree dogs and have been bred for their characteristics rather than looks which has helped to keep them healthy.